Japanese giants once used to rule the consumer electronics landscape but no more. 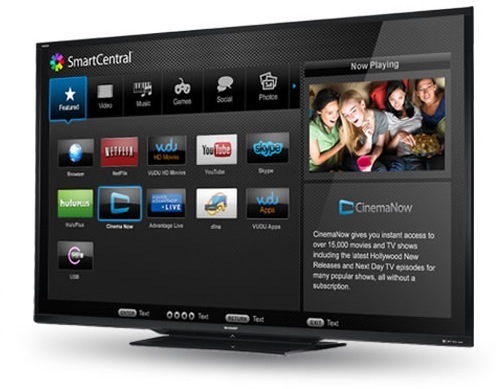 Even the TV set making biz, once the pinnacle of the “made in Japan” industry, has been declining rapidly due to strong competitive pressure from South Korea, the home to Samsung, the world’s largest TV maker. 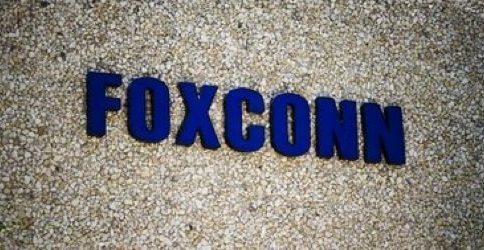 Foxconn, an assembly company, in March announced intentions to purchase an eleven percent stake in Sharp, a manufacturer. Pundits and industry execs saw the move as laying the groundwork for a mass-scale production of a rumored Apple television set as Foxconn also agreed to buy a 46.48 percent stake in Sharp’s cutting-edge (though underutilized) LCD plant in Sakai in western Japan, a big loss maker for the company. Sharp Corp shares tumbled nearly 30 percent to their lowest closing level since 1976 on Friday as investors questioned whether Japan’s last major maker of television panels will survive the sunset of the country’s TV industry. Analysts say its future may hinge on whether Hon Hai Precision Industries, the flagship of Taiwan’s Foxconn Group, is willing to increase its investment in the ailing firm. S&P in its report cited that relationship as one of the factors it will consider when deciding whether to cut its BBB rating another notch to the last rung of investment grade. It’s interesting that Sharp’s president Takashi Okuda said yesterday that Foxconn would honor the deal at the agreed price of 550 yen per each new share. But that was agreed on in March and in June Sharp’s shares were trading just above 400 yen a share. Due to the volatility of Sharp Corporation’s share price, Sharp Corporation agrees our company does not need to honor the share purchase agreement signed on March 27, but Sharp Corporation will still reserve the right for our company to purchase the same percentage of shares. 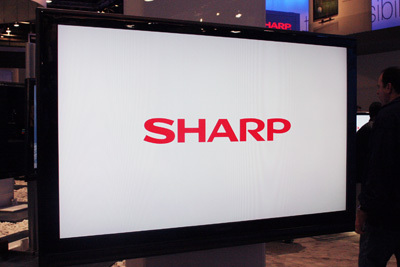 Sharp is currently one of the suppliers of high-resolution Retina displays for the next iPhone and earlier in the week confirmed shipment of displays for the next iPhone, NDA agreements be damned. Now, I doubt Foxconn is now backing out of the deal altogether. 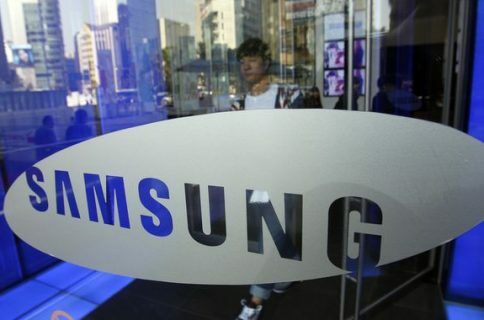 Its CEO Terry Gou was adamant that the investment, along with Sharp’s cutting-edge Sakai plant, will allow his company to beat its arch-rival Samsung on clearness. He also recently made public his intentions to acquire more shares to get Foxconn on Sharp’s board, but that’s unlikely to happen as Sharp’s president told investors last month that “there was no plan to invite Gou or any of his executives to join Sharp’s board”. Considering Foxconn’s boss paid for a 46.48 percent stake in Sharp’s Sakai plant out of his own pocket “because some investors were concerned about investing in panels, that it might not be a good business”, I doubt Foxconn is backing off. It’s more likely that Foxconn, having smelt blood, is just waiting until Sharp’s shares become worthless to perhaps buy the company outright. And for conspiracy theorists out there, Foxconn wouldn’t be entering such a risky partnership unless Apple told his favorite manufacturer Foxconn to prepare for the mass production of the rumored iTV. 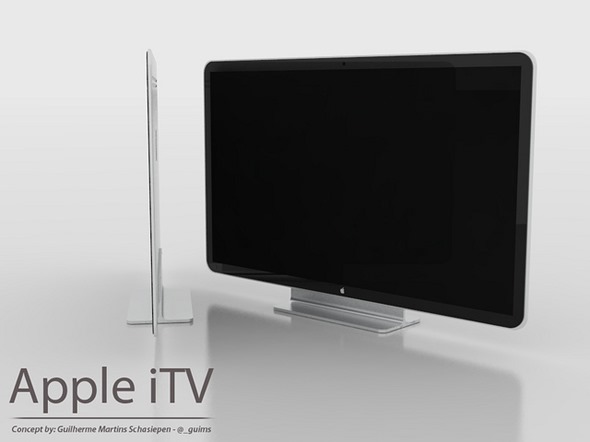 And if that is the case, Foxconn making such a huge investment on Apple’s behalf indicates Cupertino’s plans to enter the stumbling TV set making biz in a big way. Another way to look at it: who else apart from Apple is going to order pricey Indium Gallium Zinc Oxide panels from Sharp’s Sakai plant?